Just a week is left in the enforcement of value added tax (VAT) in UAE but things are yet not completely cleared for most of the common people. There are still questions about application of VAT on various goods and services and the authorities are trying to simplify the situation as much as possible. 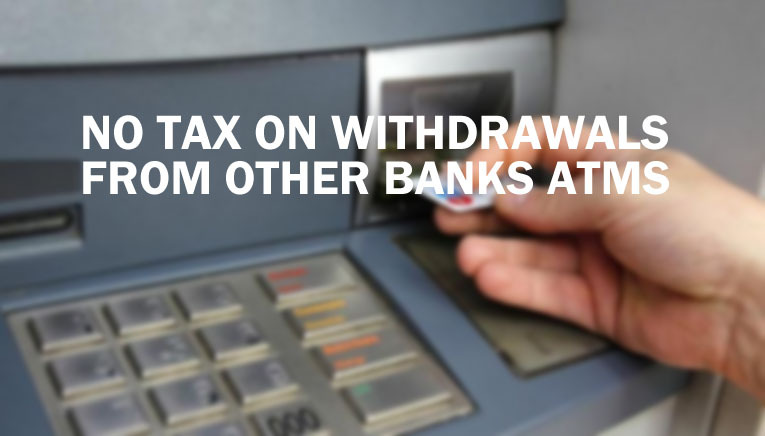 One such explanation has come just recently in which ATM account holders are provided with good news that they will not be taxed on transactions if they withdraw money from other banks by using ATM cards. VAT with 5% rate will also not be applied if they withdraw money from the bank related to ATM card because it is not considered transaction but only withdrawal of money from your account. In such instance, VAT is not applicable. If someone withdraws cash from ATM by using any other than their own bank, then this bank will charge a minimal fee of AED 2 per transaction. 5% VAT will be applied only on this fee from 1st January 2018. The ATM card holder will only have to pay AED 2.10 on each transaction after application of VAT. In this case, total burden will be reduced significantly as the total amount to be paid after even 50 transactions is just AED 5. This news will provide a big relief to ATM card holders because in case of taxation directly on the amount of transaction, they would have to pay huge amount of tax on every transaction. UAE and Saudi Arabia are the only two gulf nations to implement 5% VAT from 1st of January 2018 on various goods and services in order to reduce the effects of oil crisis on their economies. The other gulf countries are also expected to follow them later in the same year.